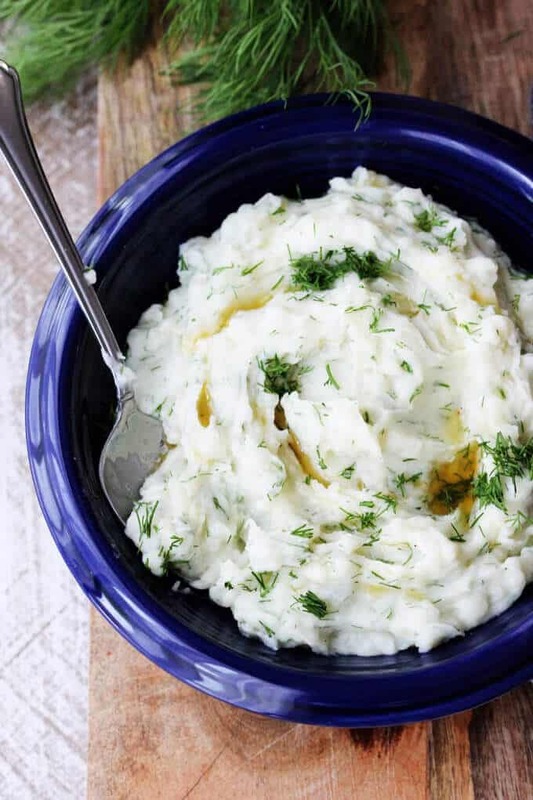 Dill Mashed Potatoes with Brown Butter is a great side dish that can pairs perfectly with any kind of meat or vegetables. With the holidays around the corner, I suggest giving this a go. As I mentioned before I’m coming from a “potato picking” country. In Poland, we LOVE our potatoes! They’re served up for dinner about 6x a week….I’m not joking. My favorites are Dill Mashed Potatoes. This is how my mom used to serve them, all the time. I actually thought that this was how mashed potatoes were intended to be eaten. 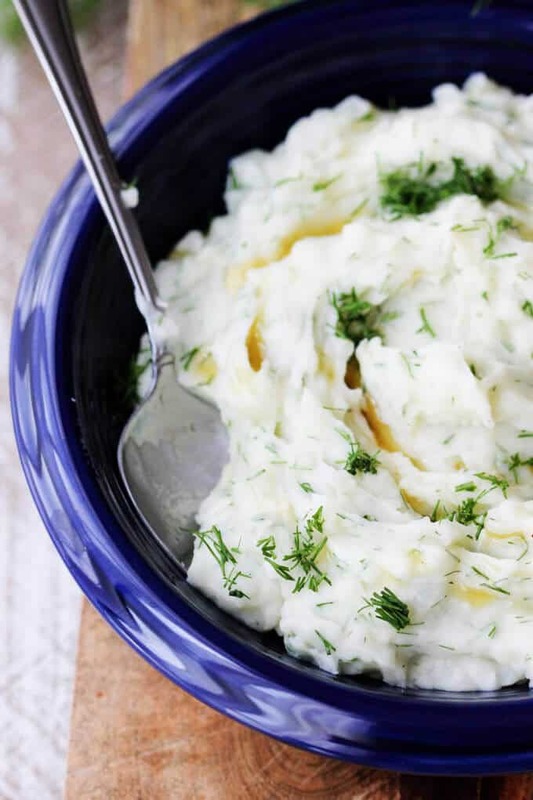 Whenever someone would serve me mashed potatoes without dill, it always struck me as odd. It wasn’t until I came to the US that I learned that people usually don’t add herbs to their potatoes (go figure). But trust me, if you don’t and you’ve never tried it, you’re missing out. Needless to say, I add dill to mine. These New Dill Potatoes with Cream Sauce are to die for, but they are seasonal. You can only get good new potatoes during the summer. For the rest of the year, the mashed potatoes are a good substitute. It may be a European thing, as my Hungarian friend told me that they’re adding parsley to their potatoes. As a matter of fact, I added parsley to my baby’s mashed potatoes, with a bit of formula too, and my little munchkin LOVED it. So, that clinches it…there has to be something to it. And another testimony: my family was traveling to Florida and they stay with us for the night before their flight. I made this Moroccan Spiced Beef Stew with my standard Dill Mashed Potatoes. I thought that the stew would be the star but my sister-in-law told me that she is “mashed potato expert,” and jokingly said that she judges a cook by their mashed potatoes, and she LOVED them. She said that stew was fantastic, BUT the potatoes stole the show for her. And she also said that she would never think about putting dill into the mashed potatoes. Then the light bulb went on in my head and I figured, that it must be a Polish thing. At that point, I knew I have to add this recipe to the blog. 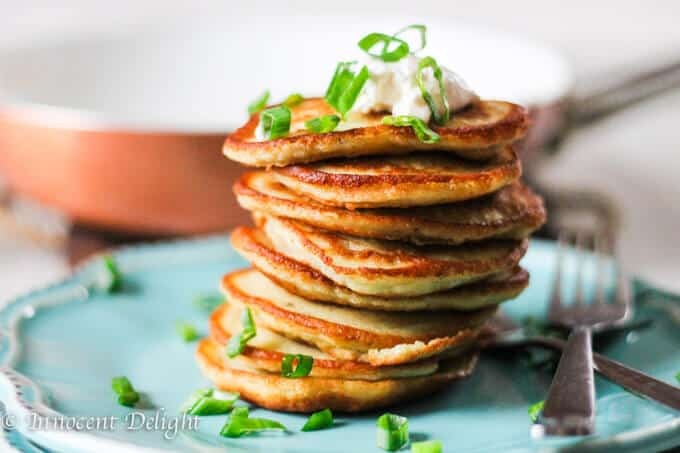 But for this recipe, I dialed it up the notch and added browned butter instead of a simple cold one. Actually, brown butter is my latest obsession. Ever since I made this Blond Chocolate Pistachio Financier I can’t get enough brown butter. It’s so nutty and delicious. It adds a totally different flavor profile to otherwise boring potatoes. Fresh Dill + Brown Butter = Bomb Potatoes! 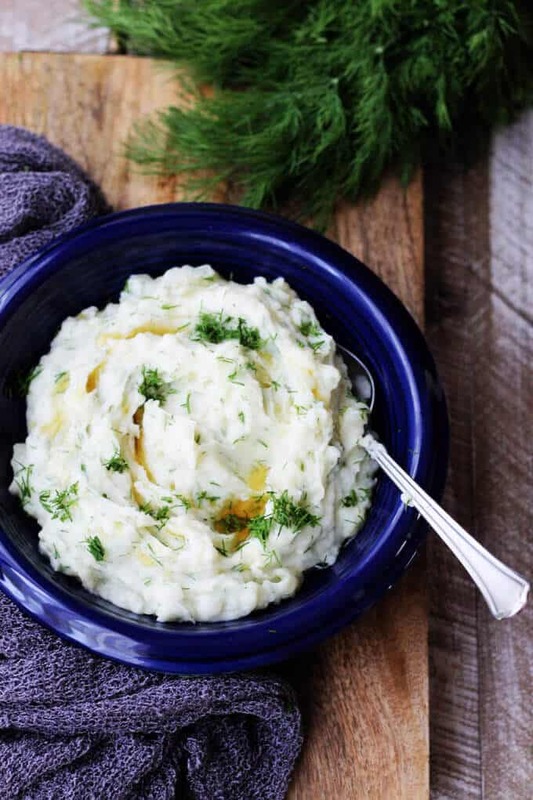 If you’re assigned mashed potatoes for your next holiday, own the assignment and make these Dill Mashed Potatoes with Brown Butter. 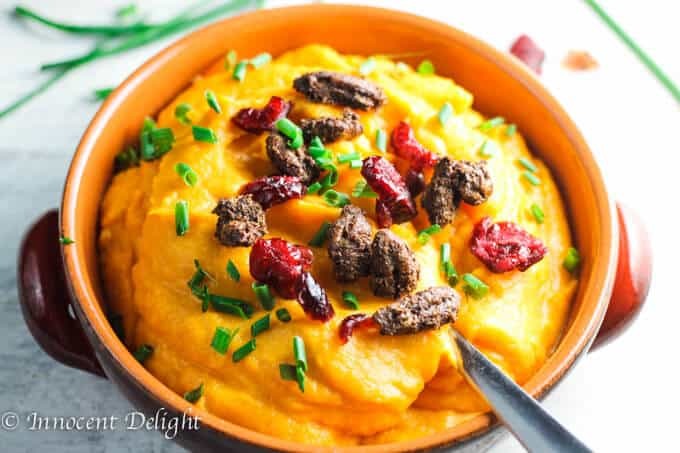 I can guarantee that they’ll outshine all the other side dishes, and may even compete for the Grand Prize with the turkey! Serve the potatoes with the remaining brown butter and more dill. You can brown more butter and add as needed. I used 3 tablespoons but you can add more if you chose so. 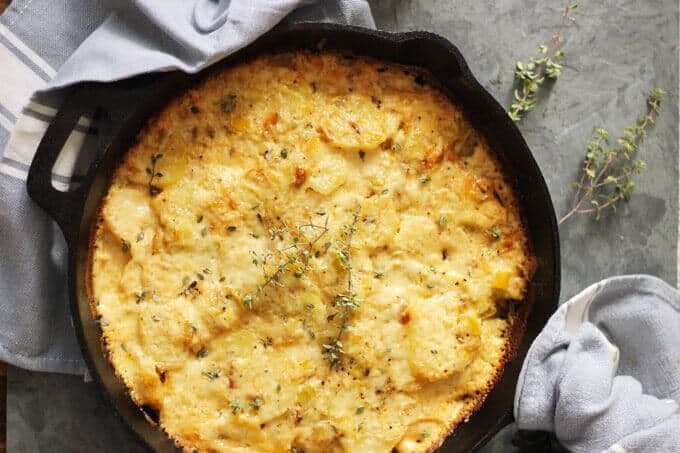 I haven’t had dill in my potatoes before, but seeing this it sounds like it will be a new favorite of mine! I hope it will :). 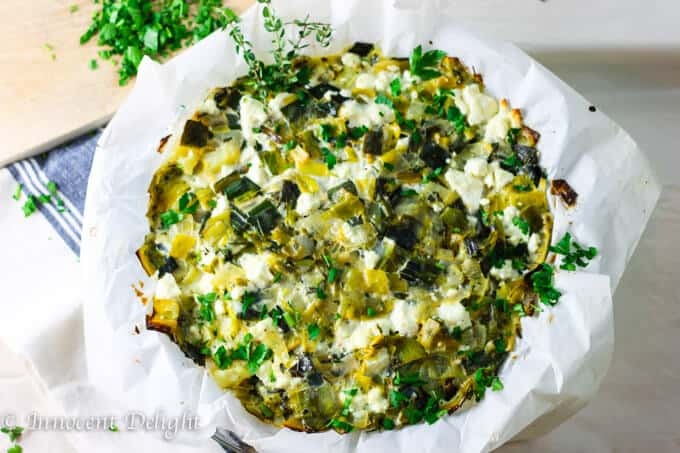 Let me know how you liked it once you add dill to your potatoes. I’ve never added dill to mashed potatoes. These sound SO good! 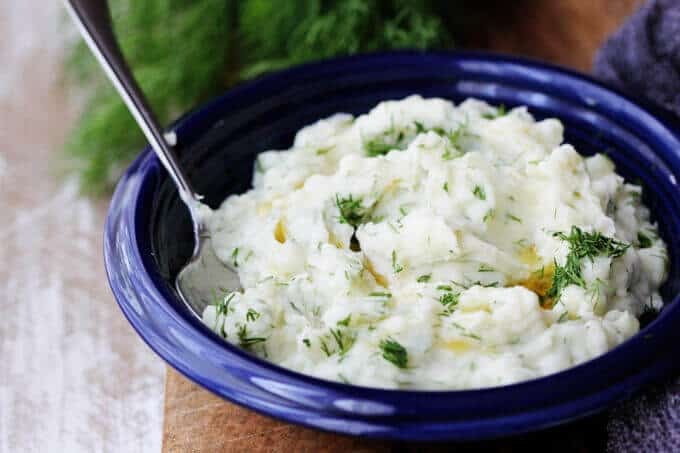 You can’t beat mashed potatoes, the addition of dill is genius… I often add herbs to mine and match them to what they are being served with, this would be great with fish.